a)Engagement of Services: Once the customer authorizes work, Orange County Pump Co. is committed to certain “ramp up” expenses both direct and indirect (i.e., specific training, travel, special tools, material, project management, etc. ), which are generally priced into the entire scope of the project. If the project is canceled, delayed, or significantly changed through no fault of Orange County Pump Co., these expenses will be due and payable to Orange County Pump Co. on a pro-rata basis. Any such request for reimbursement of these expenses will be itemized and defined. b)Changes of Scope of Work: Orange County Pump Co. will notify the customer if there is a material change to the scope of work that will require Orange County Pump Co. to expend more monies than originally budgeted. The customer agrees to pay Orange County Pump Co. for such expenses plus reasonable profit and overhead if the customer desires to continue under the changed Scope of Work. c)Permits and Taxes:Permits are not included unless specifically noted otherwise. Permits, inspection fees, drawings, etc., will be provided by Orange County Pump Co. at the cost of obtaining them. Taxes are not included in the proposed price unless specifically noted otherwise. d)Orange County Pump Co. Employees: The customer agrees that it shall not hire any employee of Orange County Pump Co. who is currently working on a project for the customer, or any employee of Orange County Pump Co. who has worked on a project for the customer within the last twelve months. The customer further agrees not to hire any former Orange County Pump Co. employee that performed any work on a project for the customer at any time within the prior twelve months. The customer agrees and understands that this provision is necessary so that Orange County Pump Co. can protect its investment of time and money in its employees, as well as any confidential or proprietary information known by its employees. e)Payment Terms: Standard payment terms are net due in (30) days from invoice date unless started differently on the front of this proposal. A service charge may be charged on all past due amounts. Changes are computed at the lower of 1.5% per month or the maximum allowed by law. Amounts will be considered past due (30) days after date of invoice. You may avoid a service charge or additional service charges upon payment at any time of the unpaid balance. 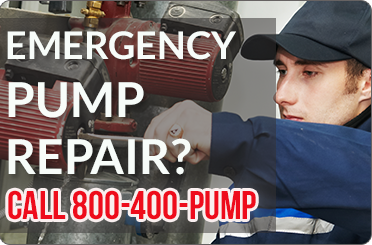 f)Warranty: Orange County Pump Co. will warranty all labor and material furnished and installed by Orange County Pump Co., excluding lamps and fuses, on all mechanical service work for (1) year. 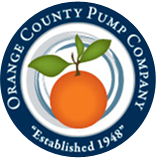 Orange County Pump Co. will honor the manufacturer’s warranty on all other products furnished by Orange County Pump Co. Orange County Pump Co. must be notified of any potential warranty work. The disposition of the work in question will be determined by or its approved affiliate. Any alleged warranty work done by others will not be paid for by Orange County Pump. g)Indemnity: The customer agrees to defend and indemnify Orange County Pump Co. from any and all party claims, demands, actions, lawsuits, liability, damages and/or costs, including responsible attorney’s fees and expert fees, arising out of or relating to Orange County Pump Co.’s work under this agreement or the Scope of Work under this agreement, unless claims relate to negligent acts of OC Pump Co. or others hired by OC Pump Co..
h)Attorney’s Fees: If OC Pump Co. is required to hire attorneys to collect amounts owed under this agreement, the customer agrees to reimburse OC Pump Co. for attorney’s fees, expert fees, and other legal expenses that it may incur to collect such amount. i)Incorporation by Reference: Unless expressly agreed in writing otherwise, these Standard Terms and Conditions are a part of, and hereby incorporated by reference, to all Proposals submitted by OC Pump Co. to the customer and Credit Agreement signed by the customer, and all terms and conditions of any such Proposals or Credit Agreements. j)Confidentiality Notice: The information contained in this proposal and any attachments is considered a confidential and /or privileged communication between OC Pump Co. and proposed Company.